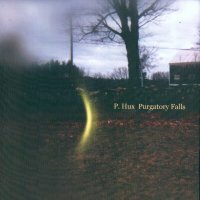 The sublime power-pop of P.Hux in the shape of the 'Deluxe' album, the rockier sound of VeG and the magical pairing of E and Parthenon Huxley on the former's solo work have surely encaptured the imagination and become essential listening for those bitten by the melodic power-pop 'bug'. HOWEVER... There are times when after just 2-3 plays, a new album from a favourite artist, surprises and exceeds expectations - and you *just know* that it is going to be a familiar friend for life. Love at first or second hearing on this occasion WILL last. Purgatory Falls is an absolute delight. The album is a little darker and more organic in feel to Deluxe etc. There is a greater emphasis on the acoustic guitar (with wonderful cello/string sounds used in sparing and effective accompaniment) and a creation of 'mood'. Yet it is an album with an overall beautiful and at times joyous 'feel'. At just over 33 minutes in total length, its total 10 tracks will wholeheartedly convince you of the 'less is more' argument. A gentle acoustic guitar kicks off the opening track '4258' and a cello appears amidst plaintive vocals. Lyrically weaving a story that makes you wonder about the meaning of the song. This is a killer lead track but the best is yet to come. 'I Loved Everything' is the most Deluxe-like track in feel and is more uptempo yet at the same time understated with a rollicking ol' guitar solo midway through. 'The cars a wreck and the yards a mess, there's a thread hanging off of your favourite dress' is such a cool lyric one of my favourite lines. 'Rubble' starts very gently and is one of the sparse sounding and most effective tracks. An ELO-ish chord progression (can I say this? Its a compliment so I guess so!) leads into a Beatley acoustic guitar figure and then a kind of vibratro electric guitar sound. The accapella (ish) vocal section is heavenly as is one particular acoustic chord change in this part. Clever and beautiful all at once! 'My Sweet Nothing' features the Yorkshire sheep worrier Mr. Mik 'Blue Violin' Kaminski himself! What a treat. Starting as another gentle and low-key acoustic-y track. Parthenon's vocals (as on many tracks) seems all the stronger and effective in this setting. The tempo is then upped, as the drums and electric guitar break and the song builds and comes to life as if in some kind of 3 minute organic growth process! 'Goldmine' reminds me of the group Badfinger (which is yet another compliment of the highest order in my book!). One that is richly deserved too. Nice little piano figure in the background of this rocky (ish) number. A 'Beatley and Badfingery' song with a wonderful electric guitar solo. 'Red Eyeliner'. Neat title. Strawberry Fields Forever style organ sounds compliment the opening line and then a thunderous drum sound grabs the attention as the song bursts into life. A wonderfully stated percussion piece closes the track. 'Steer Clear'. Opening with a delightful acoustic chord sequence accompanying Parthenon's lone voice. The production here as on many tracks is wonderful, highlighting the vocals and acoustics beautifully. Bev Bevan style tambourine shakes abound, showing that Gordon is a percussionist and drummer capable of light and shade of a wonderfully effective nature. 'Offer You The World' has that Strawberry Fields Forever organ sound again and is backed with some of the most cleverly understated and paced drum sounds on *any* album you'll hear. It seems to have this deliberately 'spaced' drum beat (possibly a Jeff Lynne production style or Ringo Starr-ish in sound). The drums almost play a lead role in the song (in a kind of slowed down Keith Moon way). Enough of this comparing drummers nonsense! Listen to the one on this record!!! 'Belief' is absolutely my favourite track on the album. It is worth the price of admission alone and is absolutely beautiful. The most plaintive vocals with simple yet effective lyrics and the most heavenly background production. The moment where the acoustic guitar oh-so-briefly combines with what sounds like a backwards-masked electric guitar is PERFECT! Later a gentle drum figure is repeated to equally stunning effect and the whispered repeat of the phrase 'go out' is almost tear-inducing. Unbelievable! And then what do we have to close the record? Well this is just spookily cool! 'Chordothelord' is a brief semi-instrumental mood-piece of brilliance beyond description. Starting with some undistinguishable spoken words (played backwards - ?). Just what is Hux saying? A staccatto string piece that sounds like a movie soundtrack snippet appears and is followed by an elongated chord on the organ and then silence!!! Almost late Talk Talk or Mark Hollis in style, this is a stunning way to close an exceptionally beautiful record. I'm speechless.